Motoryacht charter Bodrum and Mediterranean is a privileged holiday away from the daily routine, more refreshing than any other holiday you have spent before. There is literally no better way to relax, to dream and feel what life is all about ! The taste of unlimited freedom in the middle of turquoise waters to be shared with your loved ones and friendly people around you, just feel the peace and joy! 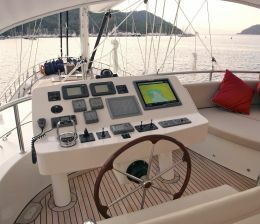 Most of our guests are not skillful yachtsmen or simply, do not want to be responsible for navigating an expensive yacht. What they need is relaxation and enjoyment of the ride with their loved ones. 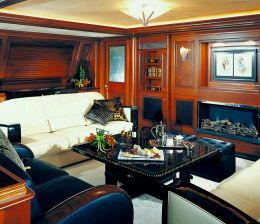 Anyway, most of the large yachts are only available for crewed motor yacht charter Turkey.